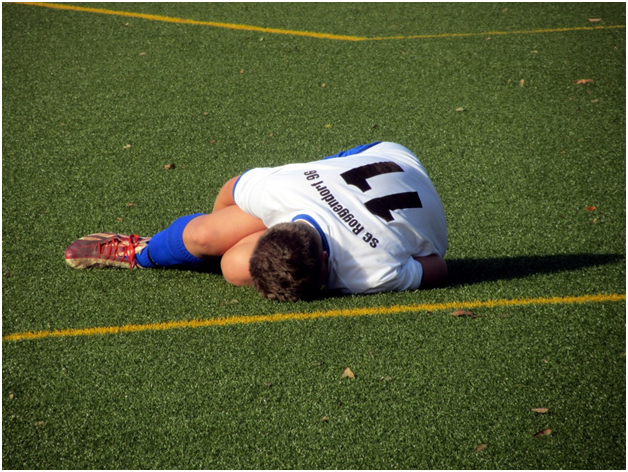 If you regularly participate in sports, the likelihood is that you will be injured at some point. Thousands of people are injured in the UK every year, so let’s look at some common injuries and the steps you can take to reduce the possibility. Tennis elbow, medically known as lateral epicondylitis, is an injury that causes pain to the elbow and upper forearm. It can be caused by the repetitive movement of the wrist in sports such as tennis. Ankle sprains can occur in any sport that involves running, jumping or similar. Rapid changes of direction can also cause ankle sprains, which lead to pain when standing or walking. Back injuries occur when weak or overused back muscles are forced into activities for which they have not trained. This can lead to pain and restricted movement. Many of these injuries are caused by similar factors – lack of warmup, lack of stretching, overtraining of underprepared muscles, repetitive movements, poor equipment, or lack of experience. Injury prevention starts at the beginning of your workout. By increasing your breathing and heart rate, you warm up your muscles and prepare your body for more intense exercise. Once your muscles are warm, light stretching increases flexibility and reduces the chance of pulling or straining anything. At the end of your exercise session, a cooldown is as important as a warmup. It works in the opposite way, slowing your breathing and heart rate back to their normal pace. This should help to prevent soreness or stiffness after a workout. Whether you are on a machine in the gym or using a tennis racket, it is important that your equipment is in good working order. Adjust things to your size and strength, check whether things are too loose or too tight, and don’t be afraid to ask experts if you are not sure how it should work. Helpful equipment can include an ankle or wrist support; for example, a bowling wrist support from a stockist such as http://www.petesproshop.co.uk/acatalog/wrist-supports.htm. If you are new to a sport or have not participated for a long time, trainers and coaches are there to help. They can advise on things such as body positioning, grip, and use of equipment.